It’s real, and yet, it isn’t. It’s the sound of percussion, but it resonates in an otherworldly way. It’s the flaming, blood-red surface of a volcano, but it’s melting before us. Some of the most evocative digital works walk this line, transport us to a place our brains can accept, yet not entirely believe, universes just past the reaches of our imagination. And so the collaboration between Egyptrixx (Toronto’s David Psutka) and A N F (Berlin visualist Andreas Nicolas Fischer) congeals around the notion of texture and surface. In generated geometries, globs of interplanetary resin, space insect innards about to evolve, sound and visual alike take on hyperreal computer perfection. They’re beautiful and terrifying, glistening molten immersion. 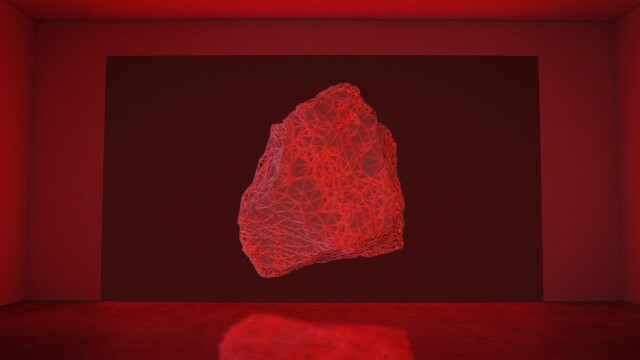 Egyptrixx – Ax//s from A N F on Vimeo. And the live AV set. Yes, bookers, please book this, preferably somewhere I can go and see it, okay? 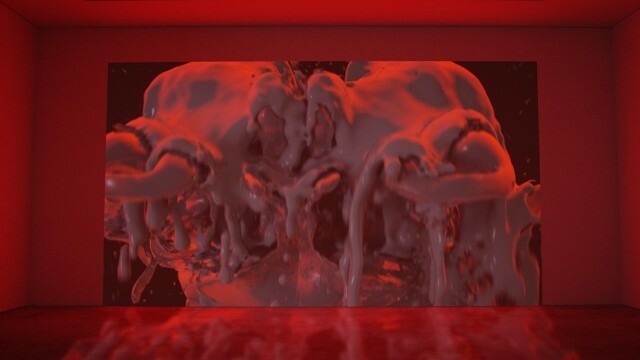 In some sense, these don’t immediately scream 2013; perfectly-rendered generated goo and planetscapes have made the rounds in AV festivals and the demoscene for years. But there is a level of beautiful focus and discipline that puts this duo at the top of this sort of work. And it’s nice to see such a perfect fusion of the album experience, the brief-but-satisfying music video, and the live AV act. The new Egyptrixx album is “A/B tip Infinity,” in a return to the label Night Slugs. But the process between the audio and visual is what makes this unique. Visuals weren’t simply generated after the fact, wallpaper to the music. Rather, the collaboration involved a process that generated the relationships between the two systematically. Together the pair focused on a process – a set of ‘meaning-through-reduction’ principles applied to both sound and video – with atmosphere, repetition and texture given priority over traditional ideas of narrative and song structure. Fischer’s visuals began to take shape, depicting molten off-planet environments, strange underground realms and volcanic caves lined with arrays of fluorescent light tubes, and Psutka responded by soundtracking these new digital environments. 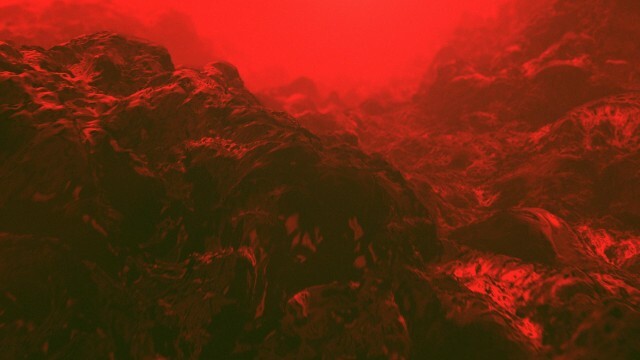 The resulting nine tracks and their accompanying series of videos and images became “A/B til Infinity”, a mesmeric environment rendered in the crystalline HD that has marked Egyptrixx’ work since his earliest productions. That is, the two came up with a process together which they each translated to their respective media, the artist’s imagery influencing the quality of the tracks, and the tracks then inspiring the visuals. …an awareness of its creation process definitely explains a lot, like why certain sounds – the industrial clangs, the metal scraping, the rainfall and sirens, the relentless thudding kicks – recur so frequently. It also explains why the sound palette is so minimalistic – just three pieces of gear were used on the album, generally streamlining the whole thing. Most importantly, it explains the whole album’s mood. It’s an oppressive record, conjuring a hellish, uninhabitable landscape. The video below is an excerpt created with Blender, mainly the built-in procedural noise functions for the terrain. 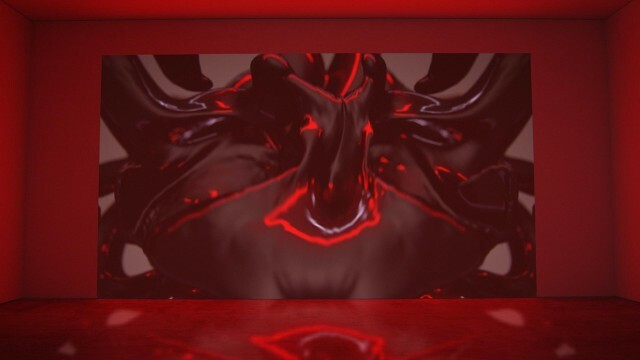 Added to the mix is a little bit of Cinema4d, GPU Rendered with Cycles. The piece is composed in Blender with the Node compositor (similar to Open Source Nuke). The album was released late last month; a world tour starts in 2014 with the live AV.